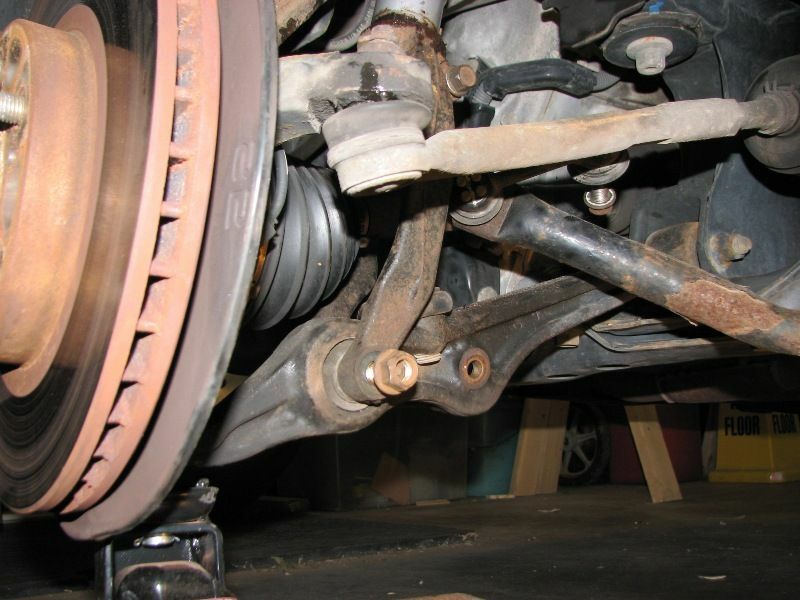 i replaced the struts to my 2001 EX sedan. A year later I had a rattle. Turns out the rubber bushings were upside down and sheared. Also, the bump stops wore out. I ordered the OEM parts and disassembled the strut. 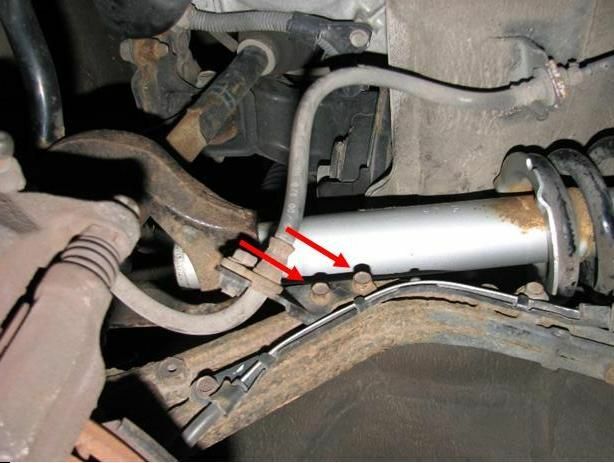 Same process for replacing dampers. 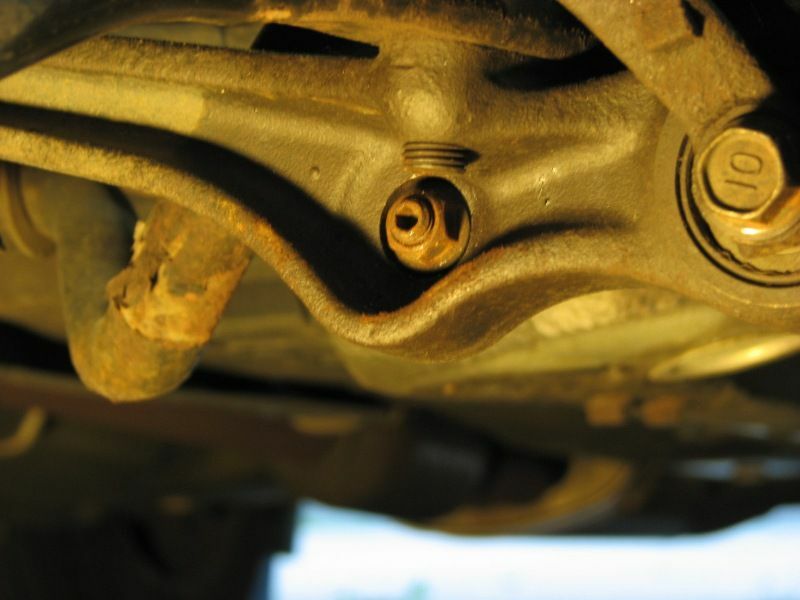 When you replace dampers, I recommend new bushings and bump stops. Getting them out is fairly easy if you have the tools and space. ball peen hammer and rubber mallet. Note: if you don't have an impact tool, using a socket set and a rubber mallet to strike the end of the ratchet can work on some bolts but for these an impact is pretty much necessary. The Haynes manual describes the steps but does gloss over one key step (link bolt) and gives bad information. you will want air tools for this, impact tools are required to remove these lower bolts. 1. jack up car, support on stands, remove tire. 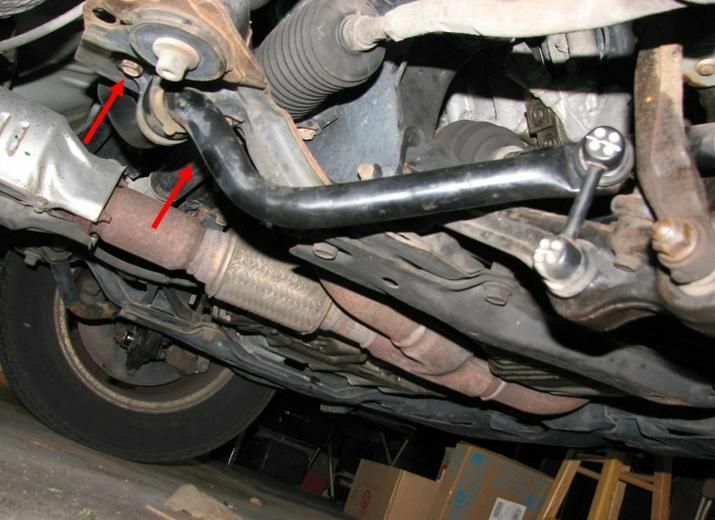 5. this is the tricky one - Option 1 (hard): remove the lower link bolt (Image 1: 4/5, 21). the bolt on the link has a #5 Metric hex key end with a 14mm bolt. the bolt will spin freely. you have to use a vice grip on a 14mm socket and insert the hex key through the socket opening. hold the hex key still while you loosen the bolt. be patient. Note: the reason you have to remove the link is so you can actually get the lower fork down past the end of the damper. 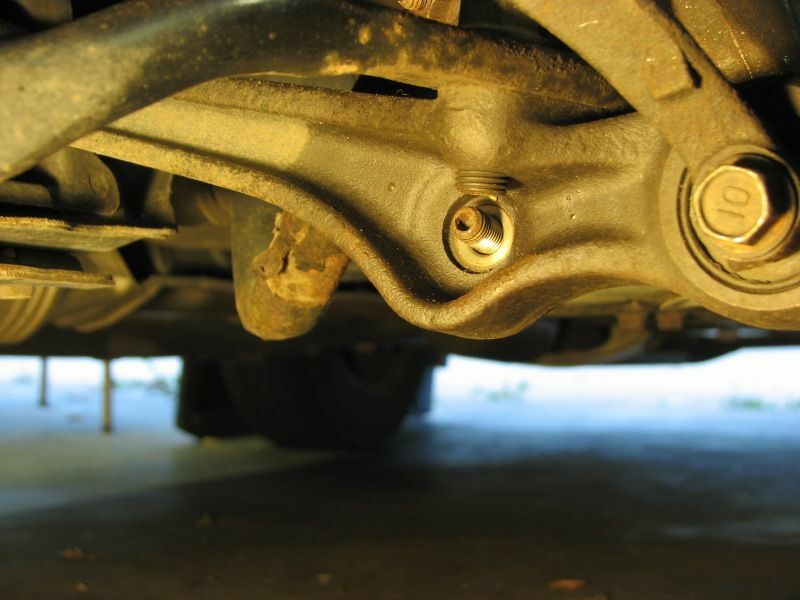 use a jack to support the whole assembly as you lower the hub assembly. 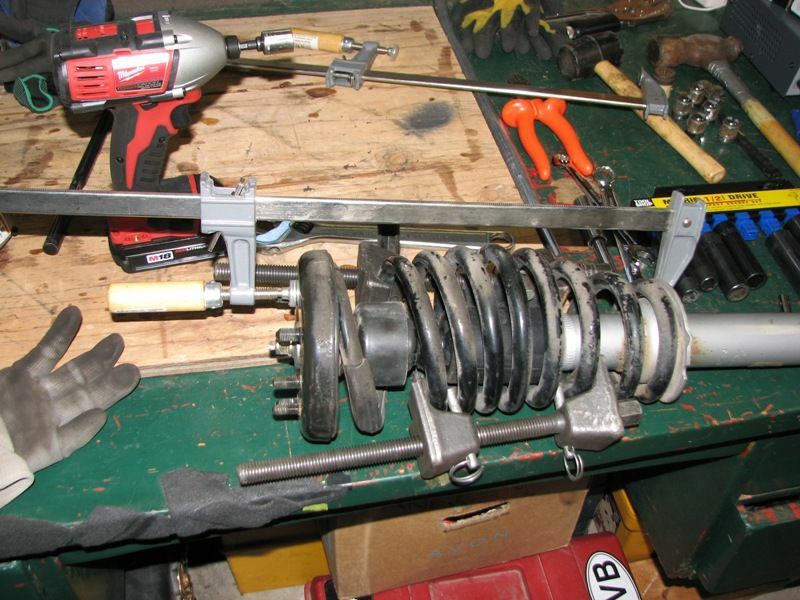 6. now you can remove the top 5 bolts holding the damper assembly in place - (3) 14mm and (2) 12mm. 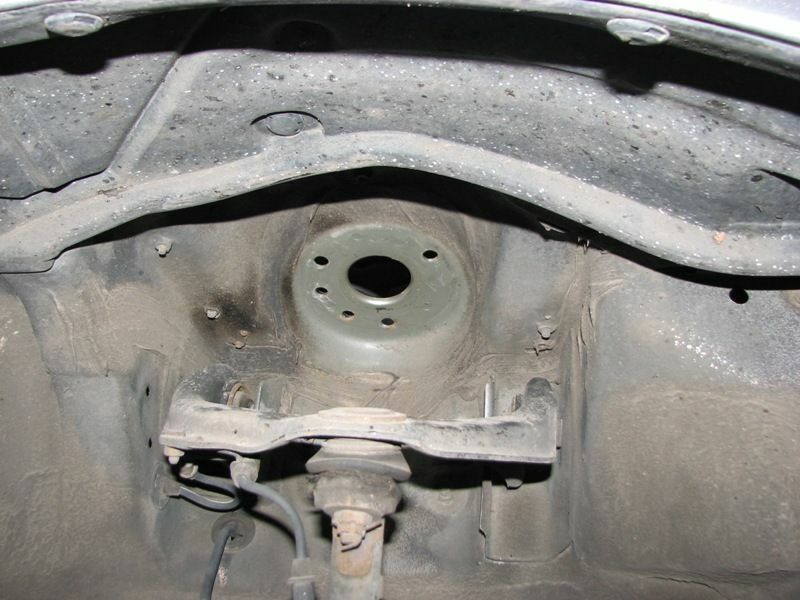 work strut out, you will need to raise the hub assembly to clear space. 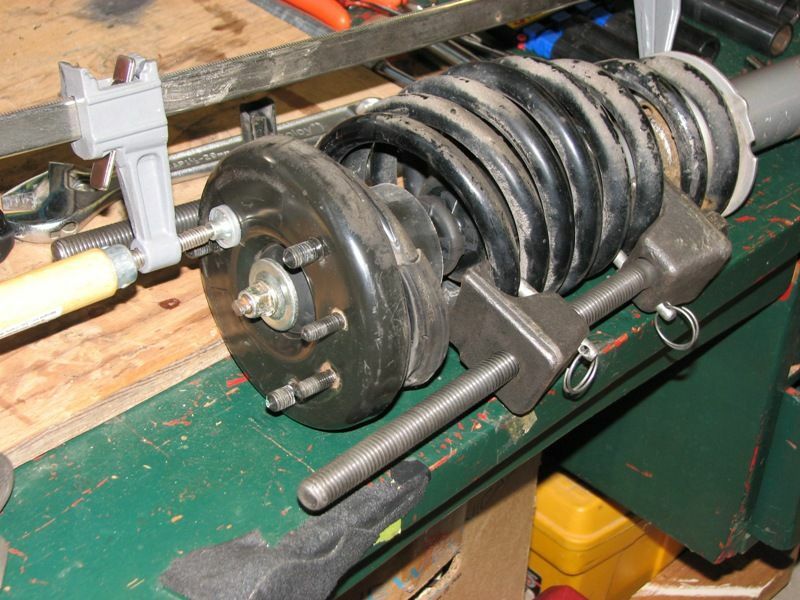 7. most stores will rent you a spring compressor ($50) then you get a full refund upon returning it. mine required a 19mm impact to fully tighten. 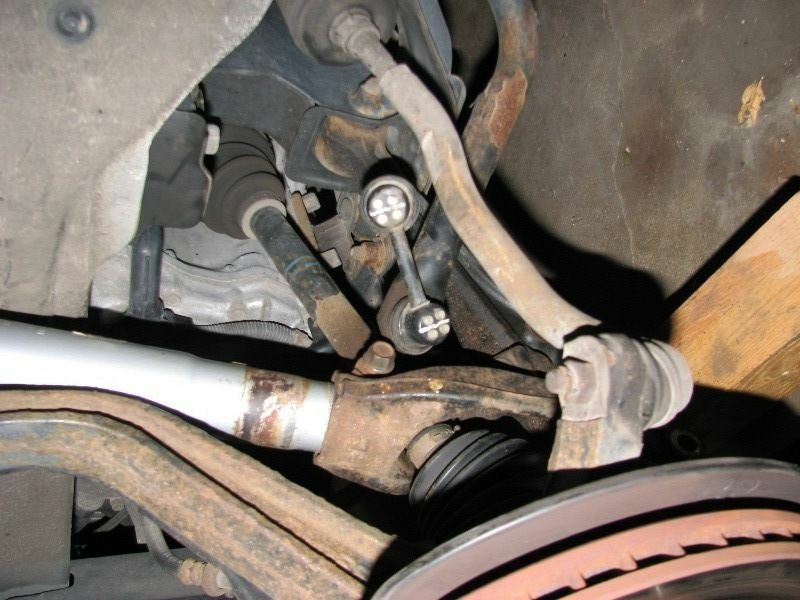 8. on my struts, (Image 2) the #6 rubber are bad, and the #12 bump stop is bad. I ordered them from hondapartsdeals for $2 ea. and $7 ea, respectively. I replaced my dampers with KYB last year. We did not replace the bump stop (should have) and we installed the rubbers backwards (because they seemed to fit better that way). the rubbers started to shear from the washers. I had a rattling sound in the front struts. Replace parts and reassemble according to the diagram. 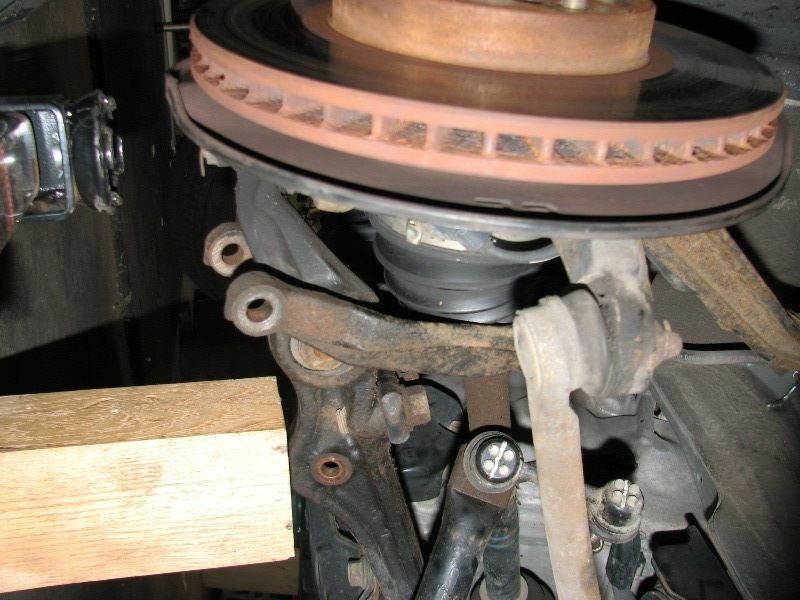 the rubber bushings must be inserted with the larger end on the strut cap and the smaller end against the washer. 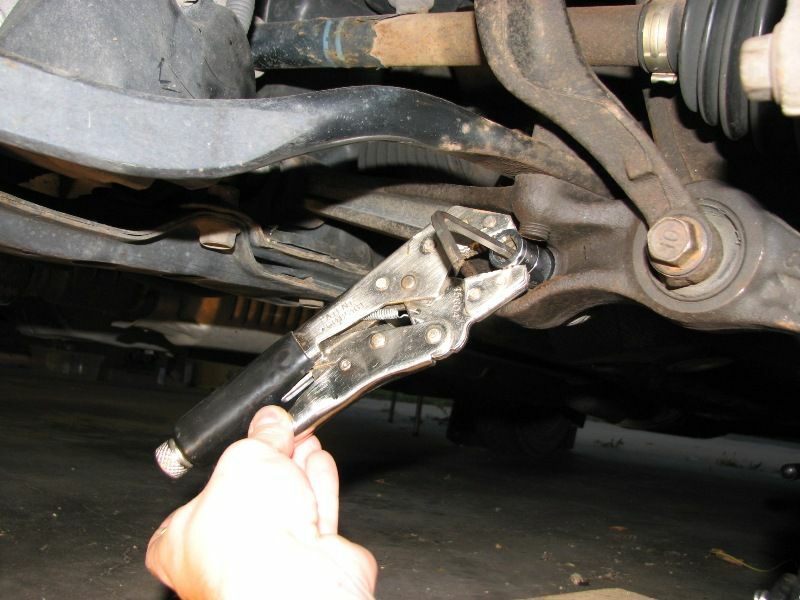 a clamp can be used to further compress the cap so you can get the nut started. 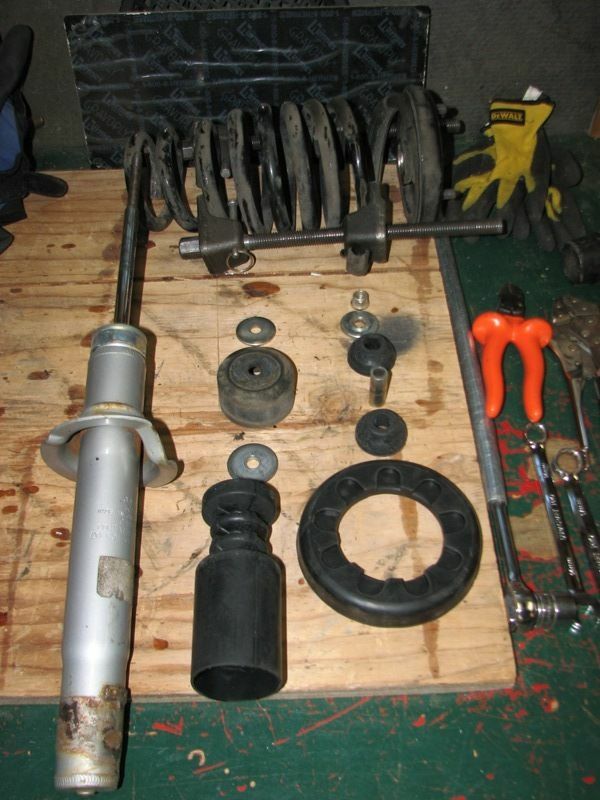 follow the exploded diagram for part re-assembly after you get new dampers. installation is opposite of removal. MODS may move this where they see fit.